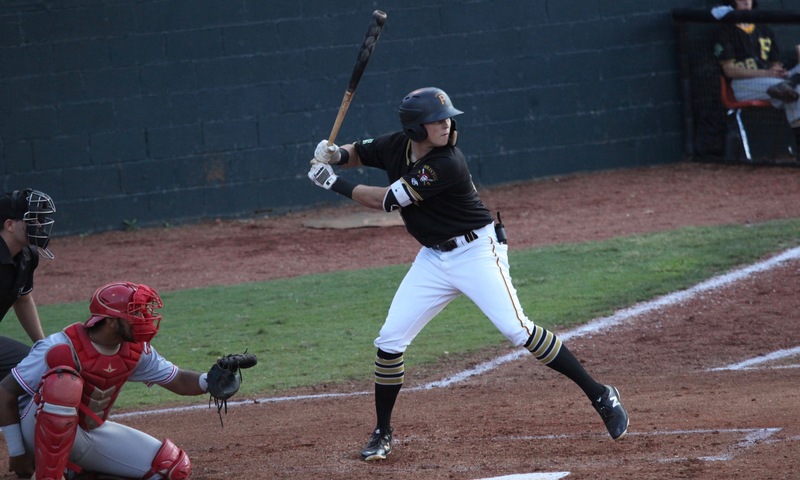 Uselton is a toolsy outfielder from Oklahoma who was the fourth straight prep player the Pirates selected at the beginning of the 2017 draft. They picked him with their competitive balance pick after the second round. Going into his senior season, scouts had issues with his hit tool, which was rated a 45 by some on the 20-80 scouting scale. He ended up showing improvement in that area by quieting down his swing mechanics and using the entire field. He has raw power that he could still tap into better and scouts who saw him early in 2017 thought he had too much swing-and-miss tendency as a result of trying to hit for more power. Uselton was thought to have good range in the outfield thanks to above average speed. He reputedly had one of the best outfield arms in the draft. Uselton was 19 by draft time, which is on the old side for a prep player. He had a commitment to Oklahoma State and, due to his age, would have been able to enter the draft as a sophomore, but the Pirates signed him for $96,000 above the slot amount. MLB Pipeline rated Uselton 46th in the draft class and Baseball America ranked him 89th overall. Uselton got into just two games, as he suffered a slight hamstring tear in the second one. That cost him the rest of the season. Normally, the Pirates would send an early round prep draftee like Uselton to West Virginia for his first full year. That would have been especially good to see considering that he was a little old for a prep draftee. The Pirates, however, sent him to Bristol and he had a very disappointing season. He didn’t hit for any power and didn’t show much speed, either. He played exclusively in right. Uselton struggled increasingly as the season went along, posting an OPS of just .480 in July and .406 in August. As bad as his 2018 season was, it’s hard to see Uselton being able to manage the New York-Penn League, much less full season ball. He could end up back at Bristol. June 12, 2017: Drafted by the Pittsburgh Pirates in the 2nd round, 72nd overall pick; signed on June 20.